I had a good conversation with TJ Hale on the Oh Hale YEAH podcast about ... what else ... American History! 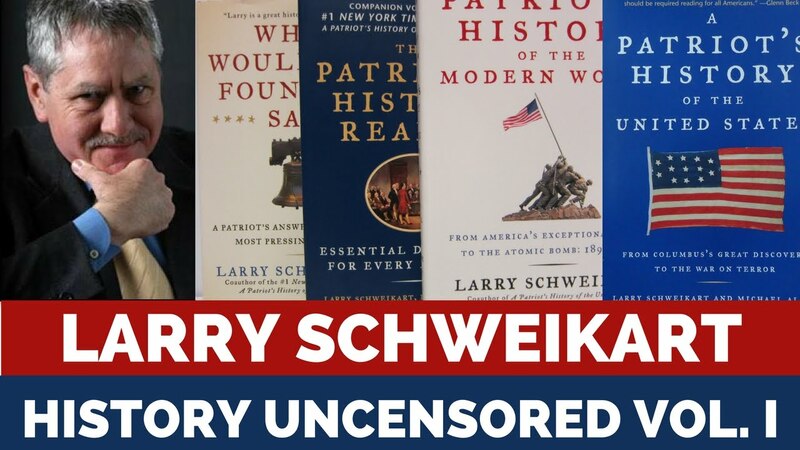 Larry Schweikart wrote the "Patriots History of the United States of America" among many others. It's a fantastic book, especially for those tricked into thinking Good Will Hunting (Matt Damon) was actually a genius. Howard Zinn is a communist sympathizer who taught Marx & Lenin. We should all be shocked that Zinn cherry picked history in his exhaustive work that is widely used as a textbook or supplement for high schools & universities. Dr. Schweikart got a political science degree without being required to take history…sadly this wasn’t surprising. Thanks College. How Martin Van Buren started the political spoils system, by design, when he formed the democratic party. How this spoils system steadily increased the size of government, providing favors & jobs for party loyalty. The Republican Party was created to end slavery. Period. The Whigs (Early America’s political RINOs) and their demise. Private Property with Titles & Deeds. If taxes should be collected, not withheld, democrats cease to get elected. Example of how textbooks are guaranteeing students know jack about history. 1800s had extremely high voter turnout, when these laws were changed to eliminate property ownership, people stopped voting in high numbers.